Sorry, I got a little behind. 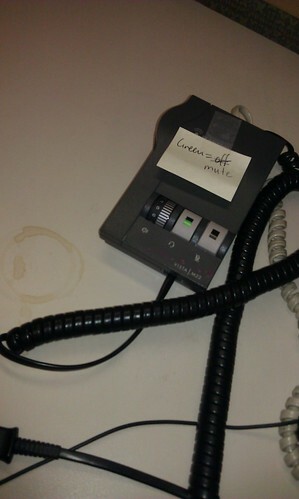 This is my phone headset at work. I had to put a post-it note on it because I am buttonly challenged and was constantly leaving myself off mute while I sneezed, chewed, yawned and muttered under my breath.